Arcadian II offers two and three bedroom condos, each with two bathrooms. You'll spend leisure filled vacation days lounging by our oceanfront swimming pool, playing an action packed game on our tennis courts, or enjoying the pleasures of the beach just steps from your door. Amenities include oceanfront balconies overlooking the Atlantic, on-site security, wireless internet, cable television, fully equipped kitchens, pay washer/dryer on each floor, wall-to-wall carpet, elevators, and ample parking. Although Arcadian II is away from the crowds, we are less than five minutes from great golf at several popular golf courses, great dining at the famous restaurant row, plus other Grand Strand attractions. 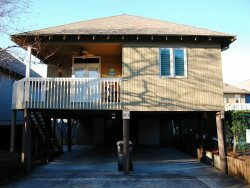 Address: 10100 Beach Club Drive Myrtle Beach 29572. ***NO PETS*** We rent to families and groups age 25 and older.